Alderman of the 20th ward, Willie Cochran, says that he's got the community experience and leadership know-how advantage over his opponent Kevin Bailey. Alderman Willie Cochran, the 20th ward’s city councilman, says that charges of inaccessibility from his runoff opponent Kevin Bailey are false and simply being used for political gain. “I have three days a month where people, anyone who wants to, can walk in to my office, see me and tell me what is on their minds. They can share their concerns with me and ask for my help,” Cochran tells Ward Room. There’s little wonder that Cochran, who has worked and lived in his South Side community for over 30 years, bristles at a brand new resident – his runoff opponent – saying he is disconnected from that community. The former police officer also doesn’t see this election as particularly closely contested. Only time and vote-counting tonight will tell if 20th ward residents will or won’t do precisely that. For now, all Cochran can say for sure is that he is proud of his record, not just as alderman for the past eight years, but also as a community leader in other capacities, over the decades. Critics of Cochran have cited a deal with Norfolk Southern Railway in Englewood and claimed that residents have been effectively forcibly displaced after selling their properties for under market value. Cochran says that he sought community input on the deal and that he hasn’t received complaints from people who have sold their properties to the rail company. “I did not hear one complaint, except from a tenant of a building that had been foreclosed on who had to move,” he says. Though he won’t make promises about hypothetical use of eminent domain to acquire properties from residents who might continue to hold out and not sell to the railway, he does say that the buck would stop with him on the issue. “I would have to be the one to sign eminent domain papers,” he says. Asked if he would resist the federal government and the city of Chicago, both who back the rail expansion, if some ward residents continue to hold out, Cochran could only say he doesn’t imagine it coming to that. “I won’t comment on a hypothetical situation like that but I really don’t think it will get to that point,” he says. More than anything, it seems that Cochran wants to get across to voters that he isn’t some stereotype of an incumbent office-holder who keeps his constituents at bay and is afraid to talk about his record. To put it simply, Cochran is proud of what he’s done. He says that he fought successfully to have less schools closed several years ago in his ward than were originally proposed. “There were 13 schools on the closing list, originally, and today we have two empty school houses in the ward,” he says. Though his challenger criticized the alderman supporting a federal grant totaling $30.5 million going to the non-profit organization Preservation of Affordable Housing (POAH) nearly four years ago, the alderman says his involvement shows his collaborative leadership abilities and that the grant money has already helped many in the Woodlawn neighborhood. “This was a grant applied to because the organization wanted to support a turnaround of a community based on engaging organizations,” he says. “The University of Chicago is a partner, the City of Chicago is a partner, City Colleges of Chicago is a partner, local neighborhood organizations are partners, and social service organizations are partners. Cochran says that the $30.5 million dollar grant was given, in large part, because the partnerships that are a part of the effort are projected to produce a total of over $200 million in investment. The alderman also says that the grant money is being divided among a number of efforts, including new and restored housing, economic development, human development and neighborhood beautification. “In the past three and a half years since the grant, 500 units of troubled housing were turned into brand new units,” he says. Cochran also says that the city of Chicago is the holder of the funds, and that every dollar is appropriated and spent according to very specific guidelines enforced by federal agencies like HUD. If his critics say that Cochran is too cozy with business interests, the alderman clearly believes that his ability to work not just with government agencies and non-profit organizations, but also corporations, has yielded a great deal of investment in his ward and its communities. He is also quick to point out his years of work in the ward prior to his ever seeking or attaining political office. “I became a police officer in the 3rd district back in 1977. I bought a home in the area, I raised my family here. I’ve volunteered at the YMCA, as a coach. I’ve owned a laundromat in the area. Living, working, running a business, volunteering, I did it all in the neighborhoods and it was all done without a thought to gaining political office,” he says. 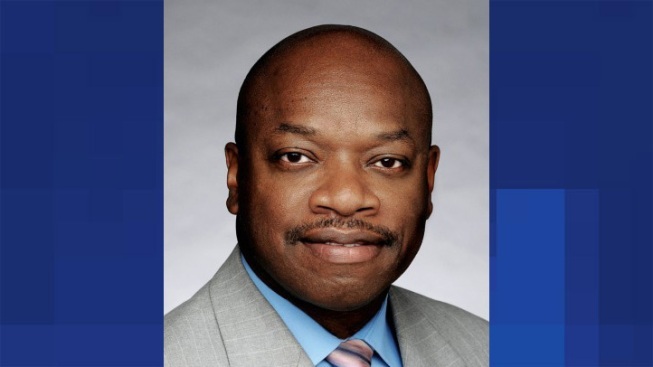 Indeed, Cochran has a master’s degree in public administration from the Illinois Institute of Technology, and did post-graduate studies at Northwestern University in public safety administration. After he retired from the Chicago Police Department, in 2003, Cochran then organized for Woodlawn’s New Communities Program. “Before I was ever alderman, I already had a long track record of urban development and successfully getting new housing for residents.Being an alderman is about experience, education, and knowing how to get things done,” he concludes.